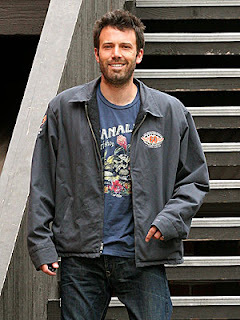 Dirty looks fine on some people, even good on some people but for some reason every time I see Ben Affleck he just doesn't pull off dirty. He ends up looking more homeless than stylish. I want to throw him a dollar or two rather than ask for an autograph. Maybe I just don't care for him and that's why. I don't really know but I'm bothered now. I was in a fine mood with my whole twisted zookeeper thing and now this. I should have stopped while I was ahead. Oh well....I know just how to get over it.